A total of 12,346 fans got the chance to see FC Barcelona training up close this Friday, as the first team undertook an open session at the Miniestadi. As ever, the opportunity to see the players preparing for their upcoming games was a hit with supporters, who queued up from the early morning to get the best possible seats. The players were cheered onto the pitch, and the Barça anthem was also played over the loudspeakers, making clear that this was no ordinary training session. 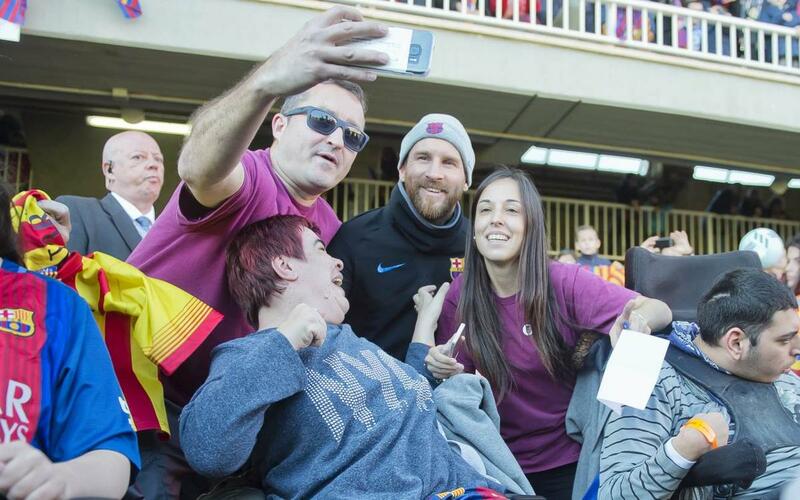 Fans waved flags and expressed their support for the squad, which included all the available first team players as well as Barça B's Moisés, Arnaiz and Varo del Barça B. Rafinha trained in the gym and Arda Turan missed the session because of a fever. After a few laps of the pitch, the training session was divided into different sections across the playing surgace. Rondos were, of course, integral to the session, as well as specific exercises for the goalkeepers and two mini-games. Before this, however, the starting eleven from the Thursday night game against Celta did recovery work and met with fans, signing autographs and posing for photos. Afterwards, they shot footballs into the crowd as gifts. During the session, the robot 'Pol,' a product of the initiative promoted by former Barça player Éric Abidal and the Barça Foundation, was also present. That allowed Gustavo, a 10-year-old Honduran child in the Hospital de Sant Pau, could attend virtually and control his view from his hospital bed. To round off the day, the players visited several hospitals to brighten the day for children. It was a busy but rewarding day for all involved.